My nephew Dither came home from school the other day after their mini presentation as part of their extra curricular activities. 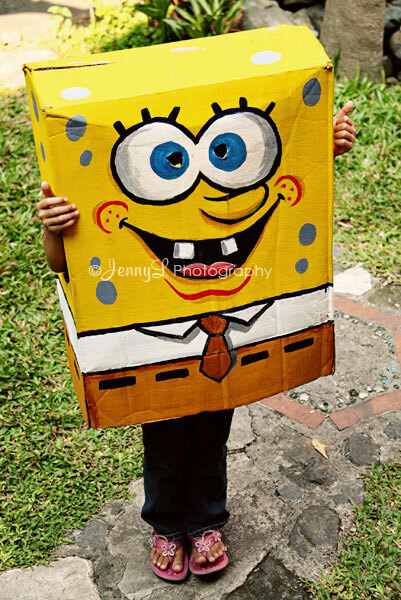 He is wearing this spongebob thing that his dad made the other week made of an empty box. He is lucky that his dad knows how to draw that's why his project turned out nice. 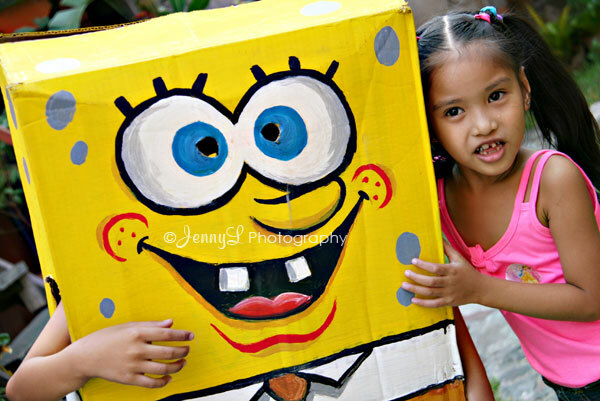 His sister Reign happily posing beside him aka Sponge Bob. Yesterday we had a lot of fun bec. my older teenage niece wore it and pose at the gate where people are passing by. Every time she saw kids she'll wave and it put a smile on the kids. 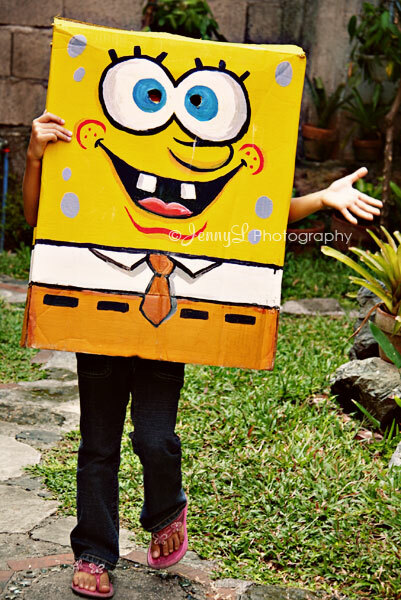 There's even one kid that run so fast when she saw Spongebob and that makes us laugh so hard that we almost roll on the wood flooring. These are the times when I feel like a kid again.